On Thursday, 18th October 2018, just before the half term, a group of students, ranging from Year 8 to Year 11, travelled to London to visit the Houses of Parliament. We started the day bright and early and travelled by train to London Euston. After that, we went underground and caught a tube train to Embankment, we began our short walk to the Houses of Parliament. On our way there, we saw many tourist attractions, such as: The London Eye, New Scotland Yard and even the boarded-up Big Ben. After having our lunch outside Parliament, we began our tour. In our tour, we found out lots of information about the House of Parliament and we even got to stand where Barack Obama once stood! Furthermore, we got to see the House of Commons and the House of Lords. Both proved to be very interesting. 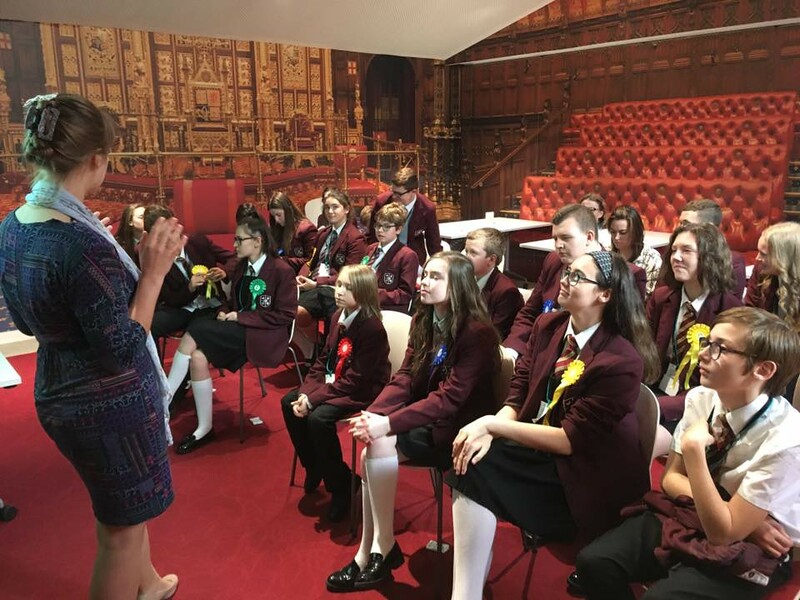 We were then given the opportunity to experience what it would be like to be a politician, as we took part in a fun, informative workshop. We created our own parties, slogans and manifestos. Having some time to spare, we walked over London Bridge and we saw the London Eye up close. Back at Euston station, we stocked up on magazines and food, before heading back to St Cuthbert's. Overall, the trip was extremely interesting and also very enjoyable. I would recommend a trip to Parliament to anybody, who has the chance, even if they aren't interested in politics.